Subscribe to get deals from hundreds of merchants including the best of Hertz! Offer is valid for self-drive rentals on Affordable Rates (leisure retail rates) at all participating Hertz locations in United States, Canada, Australia, New Zealand, Europe (Belgium, France, Germany, Italy, Luxembourg, Netherlands, Spain Mainland and UK) and Asia (Brunei, Hong Kong, Malaysia, Pakistan, Philippines, Singapore, South Korea, Sri Lanka and Thailand). Reservations must be made at least 24 hours prior to departure (48 hours for destination in Asia). Offer is valid with a minimum 1 day rental. Quote (Corporate Discount Program number) CDP#1752376 at time of enquiry/reservation. Offer is applicable on all car groups except Hertz Collections. Valid HSBC credit card must be presented at the rental counter. All rentals must be paid by HSBC credit cards. Discount applies to time and mileage charges only and does not apply to taxes, fees and optional services. Modifying your reservation may result in a change in your rate and/or invalidate this offer. Standard black-out dates apply. Standard rental qualifications, rental period and return restrictions in effect at time and place of rental, as per applicable rate plan terms & conditions apply. No other promotions or discounts can be used in conjunction with these offers. Hertz reserves the rights to modify and/or cancel any offers without prior notice.. Please always check with the merchant on the validity of the promotion before purchase. Offer is valid for self-drive rentals on Affordable Rates (leisure retail rates) at all participating Hertz locations in United States, Canada, Australia, New Zealand, Europe (Belgium, France, Germany, Italy, Luxembourg, Netherlands, Spain Mainland and UK) and Asia (Brunei, Hong Kong, Malaysia, Pakistan, Philippines, Singapore, South Korea, Sri Lanka and Thailand). Reservations must be made at least 24 hours prior to departure (48 hours for destination in Asia). Offer is valid with a minimum 1 day rental. Quote (Corporate Discount Program number) CDP#1752376 at time of enquiry/reservation. Offer is applicable on all car groups except Hertz Collections. Valid HSBC credit card must be presented at the rental counter. All rentals must be paid by HSBC credit cards. Discount applies to time and mileage charges only and does not apply to taxes, fees and optional services. Modifying your reservation may result in a change in your rate and/or invalidate this offer. Standard black-out dates apply. Standard rental qualifications, rental period and return restrictions in effect at time and place of rental, as per applicable rate plan terms & conditions apply. No other promotions or discounts can be used in conjunction with these offers. Hertz reserves the rights to modify and/or cancel any offers without prior notice. Enjoy 10% off plus $25 off on car rentals at participating locations in USA, Canada, Australia, New Zealand and Europe with min. 5 days rental. Booking period: 1 November 2018 – 28 February 2019. Pick up period: 1 November 2018 – 28 February 2019. Offer is valid for self-drive rentals on Affordable Rates (leisure retail rates) at participating corporate locations in Australia, New Zealand, United States, Canada and Europe (Belgium, France, Germany, Italy, Luxembourg, Netherlands, Spain Mainland and UK).. Reservation must be made at least 24 hours prior to departure.. Offer is valid with a minimum 5 days rental.. Limited to one offer per rental.. Discount in destination local currency upon redemption.. To enjoy the offer, quote (Corporate Discount Program number) CDP# 2136319 and PC# 203233 (Australia, New Zealand), PC# 203822 (USA, Canada), PC# 963966 (Europe) to enjoy offer at time of reservation. Offer is valid on all standard car groups in USA and Canada, Intermediate and larger car groups in Australia, Economy to Premium car groups in New Zealand and Compact and larger car groups in Europe.. Offer is not valid on Hertz Collections.. Discount applies to time and mileage charges only, and does not apply to taxes, fees and optional services.. Minimum rental age applies and all drivers must be in the possession of a valid driver's license, which must be held for at least 1 year prior to pick-up date (exceptions apply).. Valid Singapore-issued Standard Chartered credit cards must be presented during car pickup and for payment.. This offer has no cash value, may not be used with tour rates or insurance/dealer replacement rates and cannot be combined with any other certificate, voucher, offer or promotion.. Modifying your reservation may result in a change in your rate and/or invalidate this offer.. Blackout dates and Hertz standard rental terms & conditions apply.. Hertz reserve the right to modify and/or cancel any offers without prior notice.. Merchant’s and The Good Life® Terms and Conditions apply.. Please always check with the merchant on the validity of the promotion before purchase. When traveling abroad, many individuals tend to have or experience the same problem: transportation. Getting around is important when you’re traveling, in order to make the most out of your trip! However you can’t simply ship your car to another country. That would be inefficient (and quite a waste of money). Also, public transportation isn’t always easy to learn and memorize like it is in Singapore, and to spend money on taxis just isn’t very cost-efficient, especially if you’re going to be traveling long distances. A great way to get around this is to avail of a car rental. Hertz is a great place to do so! You’ll be able to travel the world and focus more on enjoying your experiences instead of worrying about jaw dropping taxi fares and confusing railway maps. Car rentals are easy, cheap, and convenient, what’s not to love? Rent a car on your next trip and have a memorable vacation with Hertz. 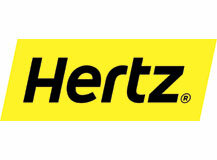 Hertz Singapore provides car rentals from all around the world! If you’re picky about your ride, worry not. You can choose from a large variety of cars, from the most plain to the most classy and luxurious- so you can ride anywhere you want in style. Be it a normal, sports, or luxury vehicle, Hertz Singapore is sure to have it all. Renting a car is incredibly easy, and you can do it with just a couple of clicks on their website! Travelling can get pretty expensive, and even with Hertz Singapore’s affordable rates it wouldn’t hurt to save even more than you already are! So, if you love travelling but hate the thought of an empty wallet or a maxed out credit card (which can be terrifying, especially abroad), then worry not because we’ve gathered some promotions and deals for you to avail. CDP2095007 - Enjoy 10% off Worldwide Car Rentals. CDP758671 - Enjoy 20% off your USA rental. CDP826388 - Save up to 20% on all car rentals in Belfast City. CDP850956 - Save up to 15% in the Nordics. Any questions, comments, and concerns for Hertz Singapore? Direct them towards the following contact information and details we have listed.Address: Airport Boulevard, Arrival Hall, Changi International Airport Terminal 3, 819663, Singapore. Phone: +65 6542 5300. Fax number: (65) 6733 0466. You can also check the Hertz Singapore website in order to look through their Frequently Asked Questions and see if your query has already been answered, at their website.